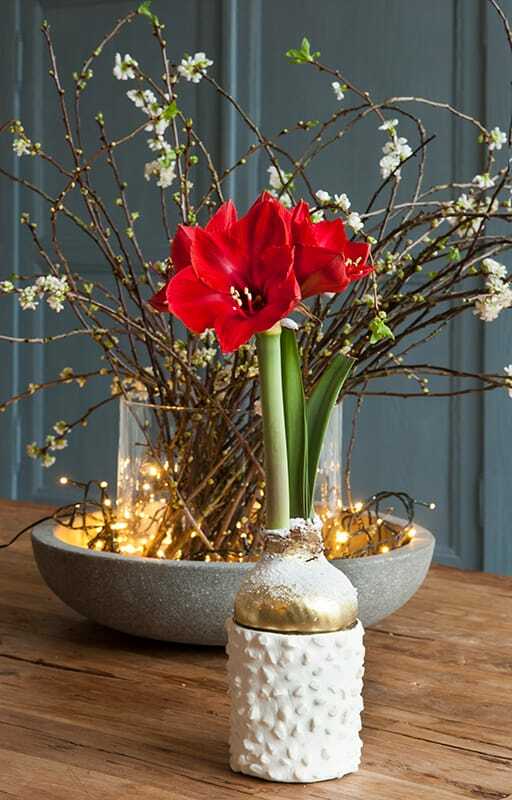 Touch of Wax Amaryllis is the perfect holiday bulb for everyone to enjoy! 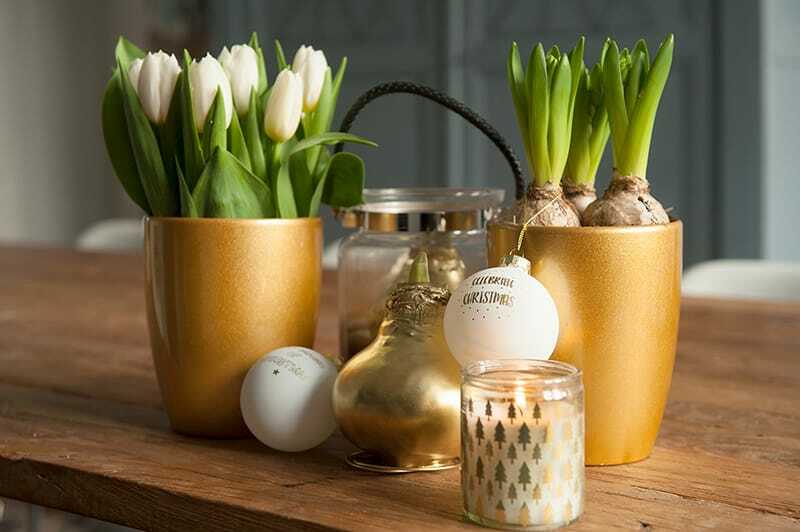 Place the carefree bulb down anywhere – a living room table, kitchen counter, or office desk. Next, watch the astonishing beauty of the amaryllis happen – it’s like magic. You don’t need to do anything – there is no pot, no soil, it’s waterless. How does it happen? 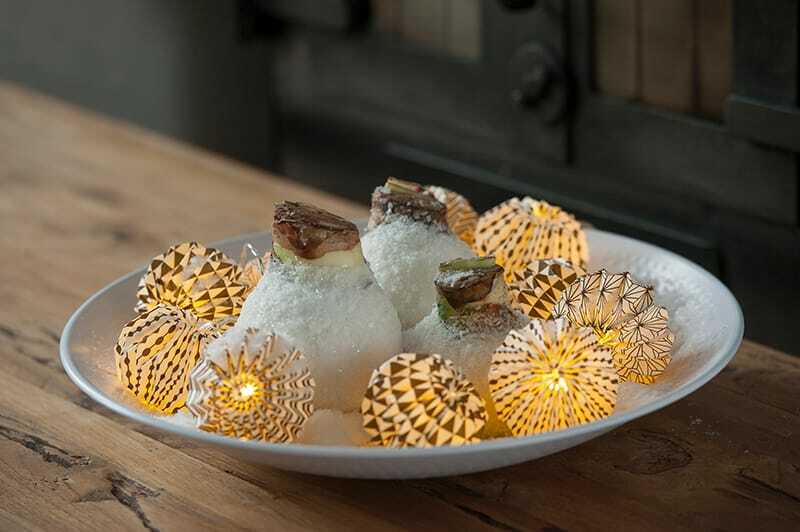 Each specially chosen bulb is hand dipped in a colourful wax coating, sealing in all the nutrients and moisture needed to grow and deliver spectacular blooms. Place the bulb where it can receive a little bright light and just watch. It only takes 4 to 6 weeks for the gorgeous trumpet shaped blooms to unfurl. Each waxed bulb produces 2-3 stems. Each stem bears 4-5 blooms that last for weeks. 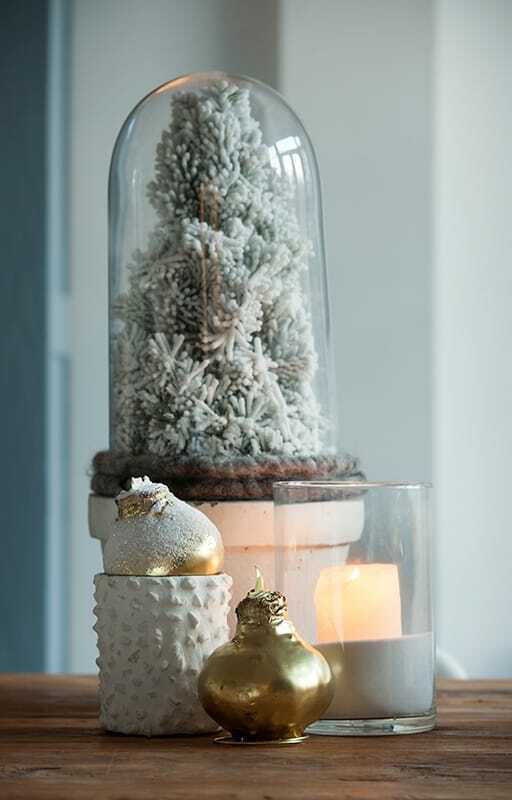 A metal spiral base secured in the wax helps the naturally rounded bulb stand upright and expands its possibilities for use in holiday arrangements. Create a classic stand-alone display on wood amongst fresh greenery. 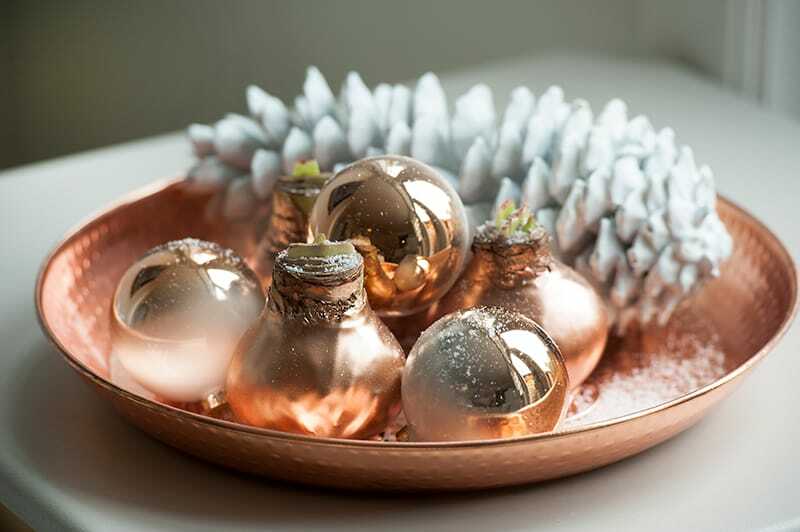 Fasten waxed amaryllis to an indoor wreath and hang it on an over-the-door hook. 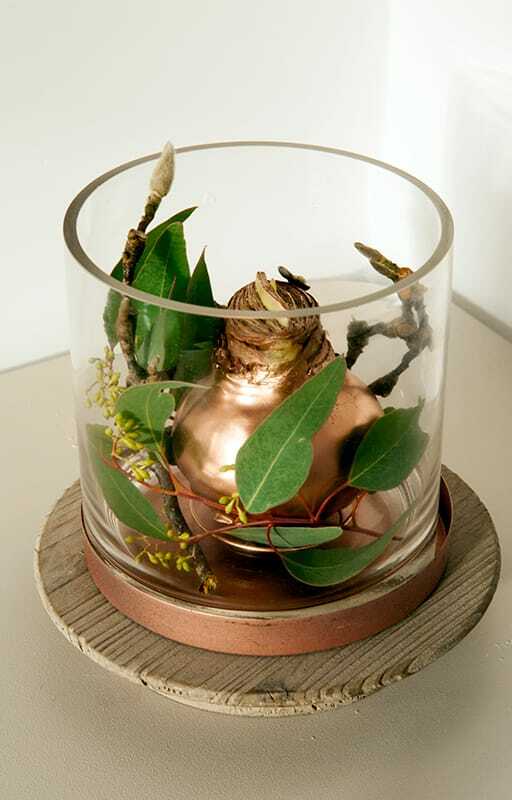 Place two or three waxed bulbs among berry branches in a glass vase. Softly frost waxed amaryllis with spray snow and nestle the bulb in a pair of hand knit mittens. Pick it up and set it down wherever you please. simple & fun, or classic & elegant. 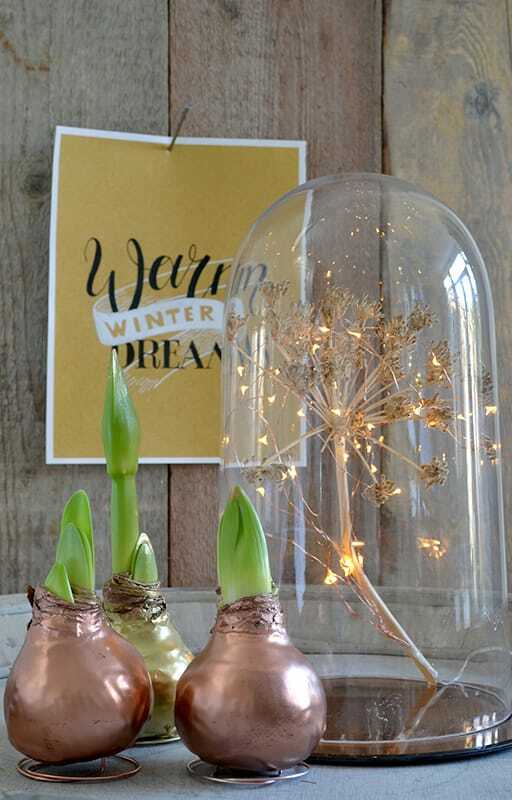 What will you do with your waxed amaryllis? Let your creativity flow and show us on Florissa’s facebook page. Let someone know how much you appreciate them and give a waxed amaryllis this holiday season. This amaryllis can be enjoyed from the moment it’s given. They make wonderful party favours and gifts for the office, or a delightful Secret Santa surprise. Need a little holiday cheer for yourself? 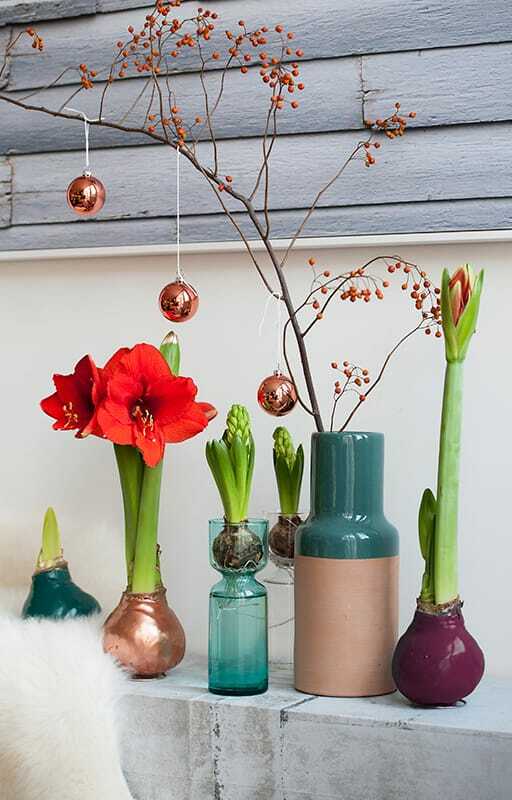 A waxed amaryllis doesn’t take up much space, it’s versatile and ready to cheer up any room. Waxed amaryllis are intended for single use, and when the bulb has finished blooming, there is no aftercare. Simply thank the bulb for its beauty and dispose properly. How much do the waxed amaryllis cost? Please send an email to: mail@florissa.com providing your city / province and someone will get back to you with the nearest store as to where you can find this, as well as the cost.